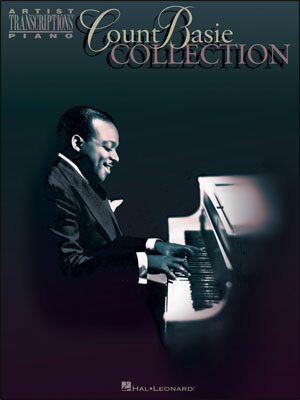 RECORDED BY THE COUNT BASIE ORCHESTRA. ARRANGED BY NEAL HEFTI. 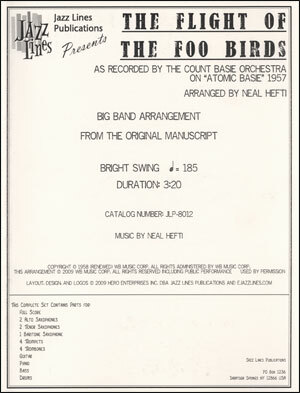 Here is Neal Hefti's famous arrangement from the Count Basie Orchestra's album Atomic Basie from 1957. This has been engraved from the original manuscript: this is not a transcription. 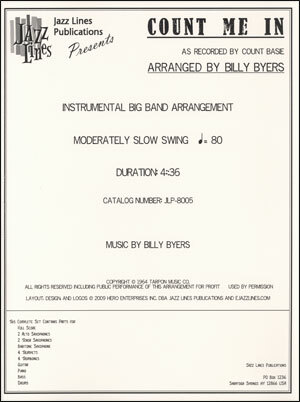 This bright swing chart opens with trumpets on harmon mutes. There are solos for alto sax 1, trumpet 3, and tenor sax 1. Chord changes have been included as the solos have not been written out. This is not an overly complicated arrangement, but the band needs to be tight on the soli sections and the unison lines. There are no sax doubles. This would make a great festival chart.